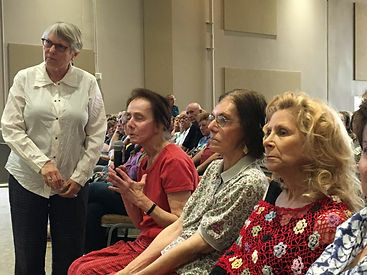 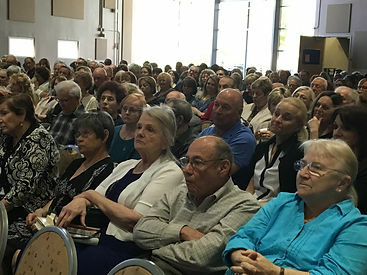 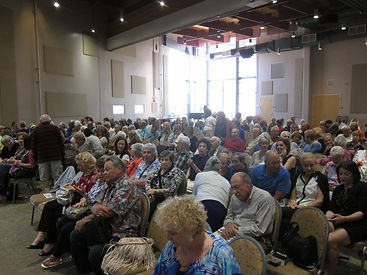 April 17, 2016 — Almost 300 people filled the Ina Levine Jewish Community Campus’s screening room on April 17, 2016, to be the first to attend the Arizona premiere of the new documentary, Surviving Skokie. 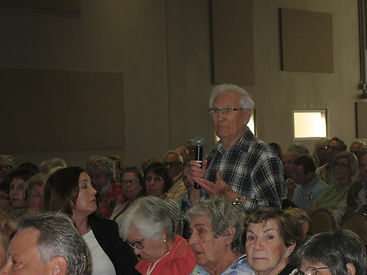 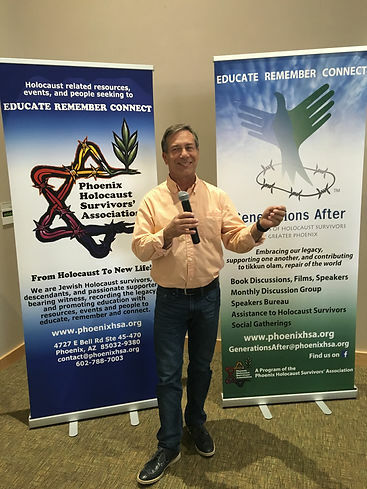 The community event was co-sponsored by the Greater Phoenix Jewish Film Festival, Phoenix Holocaust Survivors’ Association, Generations After, and Bureau of Jewish Education of Greater Phoenix. 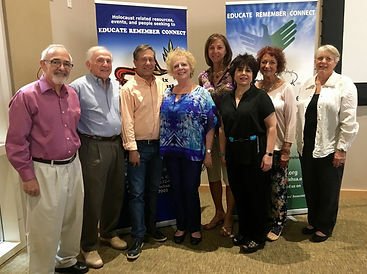 A portion of the proceeds from the event were contributed to The Blue Card, the only national organization in the United States whose sole mission it is to help needy Holocaust survivors with financial aid.